This job is not yet complete. 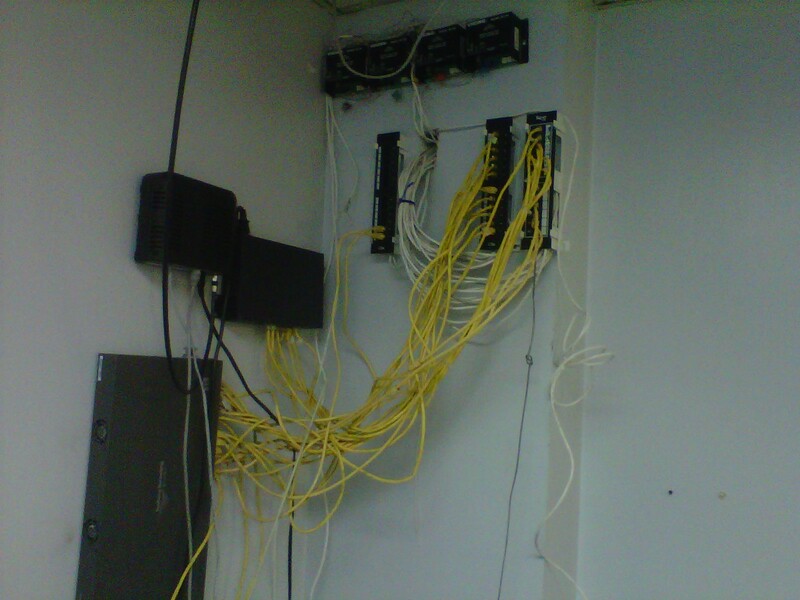 Wiring was pulled by someone else. 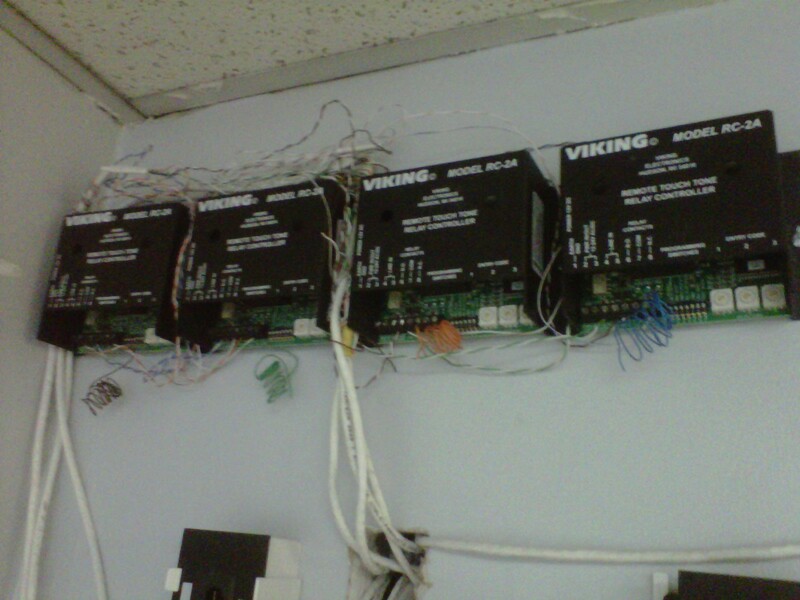 I just snaked it down the walls at the doors, and have installed the relays and the door phones. The power still needs to be connected to the door strikes (probably going to have to do some wiring for that.) and the hardware for the overhead paging, and the SPA 8000 VoIP adapter is on order due to be delivered in the beginning of the week Will try to get photos of completed job and update this post when done. Setting the DIP switches of the relays. 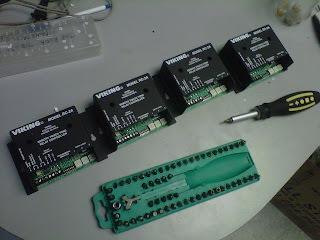 Relays mounted, and partially wired up. This wiring is newly installed by the customers IT contractor. compared to the installations that I have completed and posted on this blog.